Q: What do you do if you see a burglar? This week news broke of a peckish burglar who broke into a property in South Wales, ate an entire tub of ice cream from the freezer and felt so full and contented he had a little lie down and fell asleep (see the full story here). He was discovered by the owner when she returned from work and was awoken by her screams. Dubbed ‘Goldilocks’ by the police he did manage to get away but was later arrested after a Crimewatch appeal and sentenced to 8 months in prison. 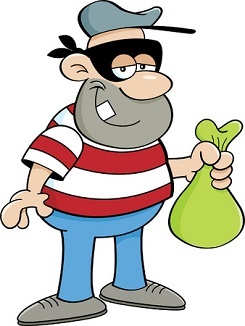 Perhaps we’ve got it wrong: the best way to catch a burglar is not CCTV or a burglar alarm but to leave out irresistible stodgy comfort food that will induce sleepiness and cause any intruder to take a time-out until discovered? Maybe. 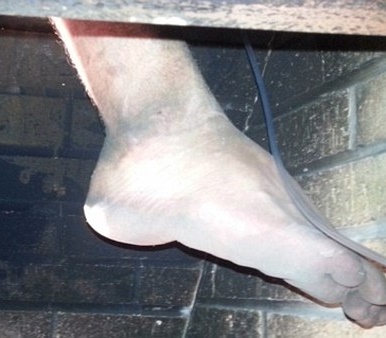 When the burglar got stuck up the chimney…. A would-be burglar in California decided that Santa was onto something and attempted to gain entry to an unoccupied house via the chimney. He soon became stuck and his accomplice had to call the emergency services for help. On entering the property (using the old fashioned front door entry) the only visible sign of him was a foot dangling down into the fireplace. It took firefighters 2 hours to get him out. He sustained several injuries which required hospital treatment and was charged with burglary. See the story here. These 2 took the concept of breaking in very literally and decided to gain entry by throwing a big brick through the window. Unfortunately they didn’t bargain on the toughened glass which caused the brick to rebound and knock his mate out cold. He then took another shot and did the same to himself. Criminal mastermind he may not be but he is a remarkably accurate shot. There are many key factors that make a property an attractive prospect to rob. For one Hackney burglar the most important one would appear to be convenience. Rather than popping next door to borrow a cup of sugar he went through the kitchen window to steal money. He was rumbled by the wet footprints that led back to his house next door. See the story here. 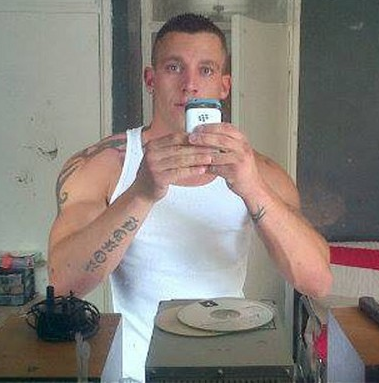 This burglar thought he’d hit the jackpot when he stole what he thought was a box of cocaine from a neighbour’s house. The mysterious powder turned out not to be class A drugs but the ashes of the owner’s mother. Even the paper attached to the top of the box stating name, date of death and funeral home failed to alert him to the box’s contents. See the story here. Often, in the event of crime, a photo-fit will be produced to attempt to create a likeness of the suspect. That wasn’t necessary in this case as the perpetrator supplied his own ‘selfie’ – and sent it to all his victim’s friends and family! The photogenic thief stole an iPhone, along with many other valuables, and thought that he could safely use it after swapping the SIM card. He posted a selfie onto Facebook but inadvertently also shared it on the phone owner’s Whatsapp account. The victim’s friends then passed it on to police who recognised the thief as he was previously known to them. The only photos he’s now posing for are arrest photos. See the story here. Social media also scuppered a burglar in Minnesota, USA, after he checked his Facebook account while on a robbery and forgot to log out! See the story here. As amusing as these stories of criminal fails are there is of course a very serious side. For every bungling burglar there are many more perfectly proficient ones who are able to break in and escape and never be caught. Even in these specific cases where the intruders were caught, there are still victims. The victim of the ice-cream eating snoozer is traumatised by finding him in her home and goes through the house armed with a poker when she comes home every day from work. The man whose mother’s ashes were stolen is unsurprisingly extremely upset by the incident and the person whose own next door neighbour broke in now finds she can’t even trust people in her own street. It backs up the research that we recently posted about that found that 60% of those burgled never feel safe again and a third have to move home as a result. To protect yourself against the intruders who are definitely not stupid get in touch with us on 0800 612 9799 (from a landline) or 0345 833 5543 (from a mobile).